Child labour is the practice of having children engage in economic activity on part, or full time basis. 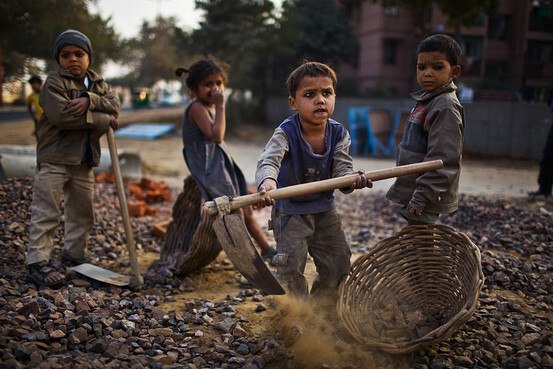 The child labour (prohibition and regulation) Act, 1986 is one of the most debated acts regarding children in India. It has extensively enlisted the scenarios regarding where and when a child can be legally employed. For example, the act permits children to work with the help of his family or in a government recognised/aided school; but it is not allowed for the child to do catering at railway establishments or construction work in factories. Wouldn’t it be more decent if these children had a steady and more respectable source of income? Ignorant enthusiasts all over the nation jump to action when they see an underage child waiting tables at small establishments. However, their narrow view prevents them from wondering if the kid hadn’t been working here, he would have been stranded helpless on some footpath. Working children are not just a phenomenon of the financially backward strata of the society. Kids from a number of affluent classes work for their pocket money instead of just asking for it. It teaches them the value of money. These kids grow up to be more responsible and hard working in life. On the contrary, the less fortunate people work not to secure their future, but to survive through the day. When we see a child working for his meals, the dormant activist in us gets awoken and we start speaking about child rights. But, why is it that when we see children begging on the streets, we shrug it off saying it is just a racket? I am not advocating child labour, nor am I discouraging it. I am advocating freedom; freedom of choice. If a child wants be an independent person right from a tender age, he should be able to do it without having the society judge his actions. However, if a child is being asked to work against his own will, feel free to call the child help line 1098 and be the responsible citizen. Tejas Mane, an amateur content writer. A final year BMS student. Reigning Student of the Year of Bhavans College. Jack of all trades, master of none.